The high school experience is different for everyone. For some poor, unfortunate souls, it’s the best time of their lives. For others, it couldn’t go fast enough. As is often the case with many of these forced experiences, you get out of your time what you put into it. Meanwhile, Max catches the attention of Herman Blume (Bill Murray), a wealthy industrialist and father to two bratty boys at the Academy. Herman is unsatisfied with his life. It turns out, the two have more in common than they thought. Both Max and Herman become infatuated with widowed first grade teacher Ms. Cross (Olivia Williams). This ignites a ridiculous game of one-upsmanship between Max and Herman that creates problems for everyone. Max isn’t always the most likeable character because he has a lot of growing up to do. He is sometimes dishonest, impulsive, immature and selfish. A lot of that can be attributed to his youth. What’s funny is that Herman should be the more mature character of the two, but he’s just as bad. Love triangles are common sources of conflict in stories because they offer certain complexities for the characters. As is the case here, with two males vying for one same female, it is up to her to make a choice. She can choose one, the other, neither, or in some cases, both. Ms. Cross correctly identifies Max as being a teenage student and thus, off limits, but try telling that to our tenacious protagonist. His inability to accept the reality of the circumstances allows the conflict to compound. Plus, his delusional ambitions make for some memorable scenes. High schoolers putting on a stage production of ‘Serpico’? Yes please. 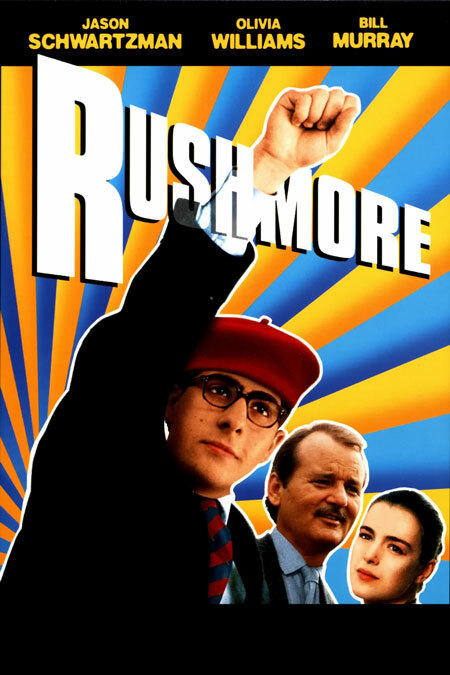 Like many of the best comedies, ‘Rushmore’ definitely doesn’t overstay its welcome with a runtime at almost exactly an hour and a half (excluding credits). Why this works so well is that it isn’t a collection of gags clumsily strung together by a halfhearted plot. The characters are complex and multi-faceted, flawed, but honest. This role was a real milestone for Bill Murray, revealing him to be gifted in the art of deadpan delivery. The films also helped to launch Jason Schwartzman’s career. It’s amazing what snappy dialog and crisp direction will do, isn’t it? Special features include: only a theatrical trailer on the standard DVD. The Criterion Collection Edition is a lot pricier, but comes loaded with extras.